June Lakes has many eating options that are just as colorful as the Eastern Sierra. June Lake eateries offer everything from Hawaiian Food to Pizza. Here is a guide to all your options in June Lake. Take a step back in time while dining at Carson Peak Inn. Located two miles outside the village, Carson Peak offers seafood, steak, and chicken. With rat pack music playing and dim lighting, dining here reminds one of a time where dining was a treat and you took your time. There is also a special "locals" menu on Tuesdays, Wednesdays and Thursdays that has more happy hour type food. Staff pick: Halibut or the steak and seafood combo. Eagles Landings Restaurant- Breakfast, Lunch, and Dinner. 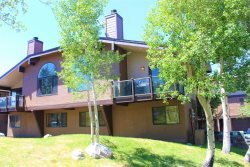 Eagles Landing offers one of the best atmospheres in the June Lake Loop. The décor is mountain luxury mixed with the old west, accompanied by a stunning view of Carson Peak. Seating is comfortable, with large cozy booths and a fireplace in the dining room. The bar has flat screens for watching your favorite game too! Gordo's is located in the heart of June Lake village and offers Mexican food along with staple morning foods like pancakes and eggs. This is the best Mexican food in town, period. The restaurant itself is very quaint, only a few tables. It is a fun spot to enjoy mexican food while watching the town happenings. Staff pick: Favorites include chicken pablano burrito, shrimp tacos, molé enchiladas, and tacos de lengua. Hermitage Juice Bar is located next to Moonshadow Galleray. It serves organic cold pressed juices, soups, organic toasts and smoothies. Organic, fresh and fast! Staff Pick - A tasty soup with hearty toast on a cold winters day is just what the soul needs. They can cater to almost any diatery needs. JLB is a favorite for locals and visitors alike. Come relax in the tasting room after a long day of fishing, hiking or skiing. The newly expanded patio is a favorite on a warm summer day. You can also take beer back to your friends, cabin or campsite with to go growlers and cans. Nothing is better than a Sierra sunset while drinking JLB beer. June Lake Accommodations places a “loaner” growler in each property for use during your stay in June Lake. Staff pick: The Hütte Double IPA and Deer Beer Brown Ale are always refreshing. Another favorite is the Ginger Beer, which is not always available, so be sure to ask. Conveniently located at the junction of highways 395 and 158, inside the shell gas station one can find almost anything needed for hitting the road. This deli-style kitchen serves up grab-and-go breakfast burritos, daily soups, and sandwiches. Don’t forget water, drinks, and snacks for your day of play. The newest addition to June Lake eateries, The Lift is one of the first establishments you see coming into the June Lake Village. The Lift offers espresso, coffee, breakfast and grab-and-go items. This is ideal for fisherman, skiers, and hikers who want to grab something quick and get the day started. In the afternoon/evening, light fare will be offered along with beer and wine. Fresh from scratch food is what the owners strive for. Staff pick: The breakfast bomb. Great grab and go item to get your day started. Warm biscuit filled with eggs meat and veggies. Also don't miss Sunday night, pasta night. Pasta from scratch like pesto or Alfredo served with garlic bread and ceaser salad. Located in the parking lot of June Lake Brewing, Ohanas 395 never serves up anything ordinary. They offer Hawaiian food staples such as a classic plate lunch, savory loco mocos, or fresh ahi poke. The specials change daily, so you can expect anything from fusion tacos, stacked hamburgers, sushi hand rolls, rice bowls, and even loaded quesadillas. Ohanas is a food truck so you order at the truck and they will deliver your food inside of the brewery or package it to go. Staff pick: Hard to pick just one favorite! Ahi poke bowl and tacos are a favorite of many. Order the tacos “Christmas” style for an extra kick. With the second oldest liquor license issued in California, the historic Tiger Bar has a long and colorful history. Many consider it a must when visiting June Lake. The wood floors are original. Food is traditional American with some Mexican mixed in. You can find many local personalities with good music always playing on the jukebox. Located in the village, the Alpine Deli is a great place to grab a sub to go or enjoy a pizza on the sunny patio. Alpine Deli serves sandwiches, salads, and pizza. The deli also has one of the only patios in June Lake. Also located in the village, Cathy’s Candy is a local favorite. Homemade chocolate and candies are offered, along with Dryers ice cream and coffee. Kids will love the ice cream and adults can indulge in espresso and treats. Everyone’s favorite is the Silver Lake Cafe located right on the shore of Silver Lake. This is the only dining option with lake views, but get there early because the cafe fills up quickly! Silver Lake Resort was once named Carson’s Camp and was built in 1916 making it the oldest resort in the Eastern Sierra. Breakfast has everything you could want along with some of the best biscuits and gravy you can find. Lunch offers fresh sandwiches, burgers, and salads. Do not miss this classic spot on the loop! Staff Pick: Too many options to choose from. Everything is great! Going to visit Yosemite National Park or Bodie State Park? The newest restaurant in the area, located in the rear of the parking lot at the Lakeview Lodge in Lee Vining. Food prepared the way it is supposed to be. Everything on the menu is made from scratch using locally sourced ingredients as often as possible. Fresh made desserts and baked goods too. Peaceful quiet setting, especially when you eat outside, on the lawn under the huge shade trees. I personally love the setting, the staff, and especially the food! Staff Pick: Hard to pick just one item and almost impossible to pass their baked treats! We haven't had a chance to try everything yet, but have loved everything we've been served. Just as you turn from Highway 395 onto Highway 120 to head into Yosemite, you will see a Mobile Gas Station with a restaurant inside called the Whoa Nellie Deli. This is great place to stop after a long day of exploring Yosemite. During the summer months, you can enjoy live music, food, and libations on the lawn all while taking in the sweeping views of mysterious Mono Lake. With a varied menu, everyone can find something to enjoy. A few miles North on the 395 just past the entrance to Bodie you will spot a cottage with a restaurant inside called the Virginia Settlement. Stop here after visiting Bodie, Virginia Lakes, or Twin Lakes. They offer both American and Italian food for your enjoyment. Inside is like taking a step back in time with fun signs on the walls to keep you entertained all through dinner. Going to visit Mammoth Lakes or Devils Postpile? Located where the old Mammoth Brewing Company Tasting Room used to be, Skadi offers an intimate dining experience in a modern alpine chalet setting. Reservations are required for this ten table restaurant, so call in advance, especially during peak times like summer months or holidays. Chef Ian takes true pride in his seasonal Scandinavian-inspired menu and curated wine offerings. Skadi is an excellent choice for date nights, celebrations, or just to treat yourself to an incredible meal. Staff Pick: Maple Leaf Duck Breast paired with a red wine, then the frozen macadamia nut & vanilla bean parfait for dessert! Giovanni's is a family favorite in Mammoth. There is a large dining area along with lots of seating or sit in the bar to watch sports while you sip on a locally crafted brew. This casual dining spot is great after a day of shopping, hiking, or hitting the slopes. They also have great lunch and happy hour specials! Staff Pick: Any pizza with the white sauce or the Canadian Bacon and cheese sub. The salad bar is always refreshing as well. The Bleu Market has the best selection of curated cheeses and cured meats, freshly baked artisan bread, beer and wine, as well as fresh seafood in Mammoth. Their newly expanded location offers even more options to take home and cook with your family or to stay and dine in. The bar at Bleu has grown to offer not just beer, wine, and kombucha on tap, but also craft cocktails. You can also order sandwiches and build your own salad at lunchtime or enjoy a full bar menu of snacks, small plates, and entrees after 4:30 PM every day.